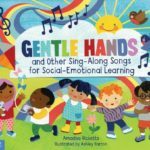 Gentle Hands, and Other Sing-Along Songs for Social-Emotional Learning, is coming in May 2018 from Free Spirit Publishing. 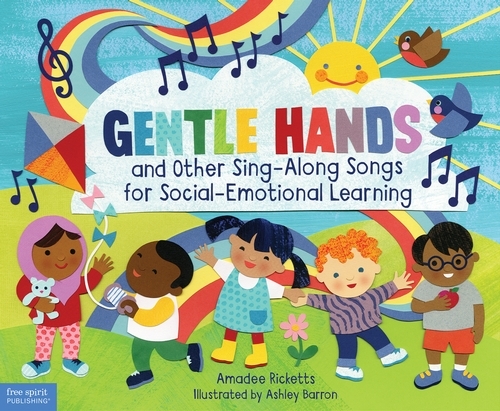 This beautifully illustrated songbook features a dozen sing-along songs that teach important social-emotional skills for everyday life. Favorite songs like “Frère Jacques” and “B-I-N-G-O” get turned on their heads with new, easy-to-remember lyrics offering lessons on how to manage anger, what to do when you’re afraid, being a good friend, and more kid-friendly themes. You do not need to be a singer to have fun with these catchy and familiar songs, and kids and grownups will love the charming details in Ashley Barron’s paper collage illustrations. You can pre-order now from Free Spirit, or from other online booksellers.